Velocity: Columbia’s Ride to End Cancer is returning again this October 7. Velocity’s unique model has something for everyone and symbolizes the idea that when people come together and gain momentum, they can make important things happen, and even end cancer. A similar spirit of a group coming together to make a positive impact is behind the launch of CancerFit. 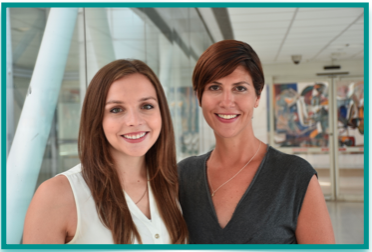 Founded by Velocity Riders Sarah Urke and Barbara Trencher, who met as students in Columbia’s Doctoral Degree Program in Physical Therapy, CancerFit’s goal is to provide cancer patients with the benefits of exercise and physical activity. Considerable data exists to support the hypothesis that exercise reduces the risk of cardiovascular disease among chemotherapy patients. Numerous studies have demonstrated that certain chemotherapy agents can decrease and or interfere with cardiovascular function, but this decrease can be reduced or even eliminated for patients who exercise during the period of chemotherapy treatment. There is also research that explores how exercise not only benefits cancer patients, but may also aid in preventing progression and may alter survival outcomes and a patient’s response to conventional and novel cancer treatments. CancerFit launched as a pilot program last spring. There were three one-hour sessions that included 10 participants. The sessions include a warm up followed by 45 minutes of aerobic exercise with the goal of increasing participants’ heart rates during the cardiovascular exercises. Both Trencher and Urke say they are, “athletically inclined and get a lot out of fitness.” Not only did they channel that effort into the creation of CancerFit, they created a team for Velocity, which raised a remarkable $23,000 for the cause. Trencher says: “Neither of us were prepared for how hard 62 miles is…It was fun and hard.” Urke says: “I was surprised at how fun the event was. It was a great event to be a part of.” The pair will be back again this year and are encouraging others to ride. To register to ride or to volunteer please visit velocityride.org. For information about CancerFit and the drop-in class that begins September 28th, contact bcaexercise@gmail.com.